Lukoil signs cooperation agreement with regional authorities over the development of the East-Taymyr field. Geological mapping is due to start in 2017. The cooperation deal signed by Lukoil President Vagit Alekperov and Krasnoyarsk Governor Viktor Tolokonsky includes 350 million rubles, TASS reports. The money will be invested in social development projects in Khatanga, the Arctic town located near Lukoil’s newly obtained license area. “This is a very important project not only for the town of Khatanga, but for the whole region of Krasnoyarsk“, Tolokonsky says, a press release from his regional government reads. 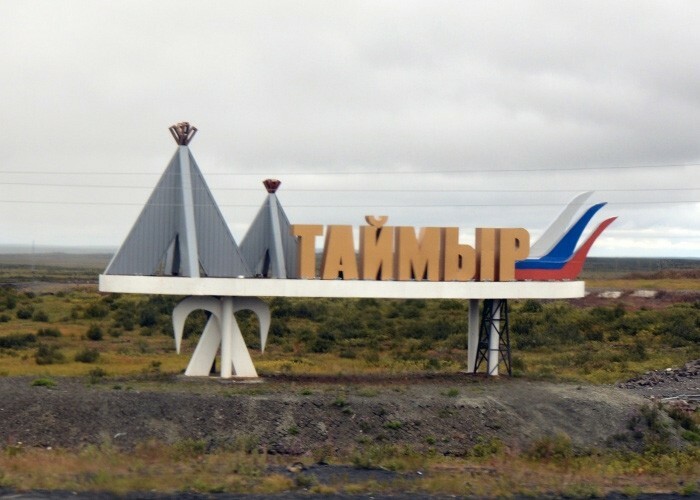 For Lukoil, the East-Taimyr is seen as a gateway to a new and untouched region. Resources in the area could be significant and the company might be interested in developing them in a similar way as in the Timan-Pechora province. There, Lukoil pipelines oil to the terminal of Varandey, from where tankers ship the hydrocarbons to the world markets through the Barents Sea. The privately-owned company cashed out 1,9 billion rubles for the East-Taimyr license, as much as 600 times higher than the tender starting price. The license was won in strong competition with Rosneft, Privately-owned Lukoil was first declared winner of the license. However, Rosneft disputed that decision and took the case to court. An appeal court settled the case in December 2015. Indigenous peoples’ organization declared as foreign agents. An organization supporting indigenous peoples in Russia’s northern regions has been fined 300,000 rubles for failing to register as foreign agent. The organization “Center for Support of Indigenous Peoples of the North” (CSIPN) has been fined 300,000 rubles for breaking Russia´s much-criticized law on foreign agents, Gazeta writes. The organization had failed to register itself, and was in November 2015 declared “foreign agent” by Russia´s Ministry of Justice. “I can only regret that yet another organization for indigenous people is hit by the implementation of this law”, says Christina Henriksen, leader of the Working Group for Indigenous Peoples (WGIP) in the Barents Region, to Independent Barents Observer. “I am going to raise this issue with Russian authorities next time I meet with them”, Henriksen says. In the Barents Region, seven groups are have been branded “foreign agent” by Russia’s Ministry of Justice. In September 2015 the organization Yasavey Manzara in Nenets Autonomous Okrug became the first Indegenous Peoples NGO to get the stamp. Although WGIP doesn´t have any formal cooperation with CSIPN, Henriksen knows the leader of CSIPN, Rodion Sulyandziga well after many years of cooperation through RAIPON, the Russian Association of Indigenous Peoples of the North, where he used to be part of the leader team. CSIPN was established in 2001 as a non-governmental organization that provided help to indigenous peoples and their communities in the transfer to the market economy conditions of present-day Russia. It offered practical training in institution-building, economic development, land and natural resources use, legislation, environmental protection, and cultural heritage, according to University of the Arctic. Henriksen hopes that the issue of persecution of organizations that support indigenous peoples will be brought to a higher political level: “I hope that Russia´s partners in the Barents Council and the Arctic Council will address this case with their Russian colleagues. WGIP raises this question whenever we can, but it would definitely help if Norwegian authorities would improve their relations to our neighbouring country, so that there would be room for constructive discussions on such challenges”. The law that came into force in 2012, imposed organizations receiving funding from abroad or engaging in political activity to register as foreign agents. Very few organizations voluntarily agreed to designate themselves as such, and from 2014 the Ministry of Justice was granted powers to name agents of their own. Gerrit de Veer – Levinus Hulsius: De tocht van 1595: het kielhalen. Twee bemanningsleden, die huiden gestolen hebben van Nenets (Lappen), worden gekielhaald. Van de ene blijkt na het ophalen slechts een half lichaam te resten, de ander wordt nat aan land gezet. Gerrit de Veer – Levinus Hulsius: The Journey of 1595: the keelhaul. Two crew members, who have stolen skins of Nenets (Lapps), are keelhauling. From one after getting hauled only half a body was left, the other put ashore wet. Studieblad met Nenets (Samojeden), sledes, graven en een zeevogel. Rijksmuseum: Dit object behoort tot Schetsboek met 38 bladen betekend tijdens de expeditie naar Nova Zembla in 1880 (RP-T-1971-218). Louis (Lodewijk Franciscus Hendrik) Apol (Den Haag, 6 september 1850 – Den Haag, 22 november 1936) was een Nederlands kunstschilder en behoort tot de Haagse School. In 1880 voer hij mee op de laatste expeditie van de schoener Willem Barents naar Nova Zembla. De vele indrukken en schetsen van deze reis boden hem de rest van zijn leven veel stof voor zijn werken waaronder het panorama Nova Zembla in Amsterdam. Louis ( Lodewijk Franciscus Hendrik) Apol (The Hague, September 6, 1850 – The Hague, November 22, 1936) was a Dutch painter and one of the Hague School. In 1880 he sailed along on the last expedition of the schooner Willem Barents to Novaya Zemlya. The many impressions and sketches from this trip offered him the rest of his life much material for his works including the panorama Nova Zembla in Amsterdam. (Study sheets: Samoyeds, sleds, grave and a seabird).